In an article in the current issue of the Cambria magazine, Sion Jobbins tries to answer David Williams' question put to Plaid Cymru Candidate Bethan Jenkins on BBC Wales' Dragon's Eye program "how many aircraft carriers would an independent Wales have". We are grateful to Cambria and to Sion Jobbins for allowing us to reproduce this slightly extended article. The article has been broken into 5 segments. This is the 5th and last instalment. The first may be viewed here, the 2nd may be viewed here, the 3rd here, and the 4th here. So, to conclude. The more one looks at the facts rather than the clichés and prejudices, the idea of a Welsh independent military force is not only possible, it’s actually the most sensible and a cost effective option. Look, four things to keep in mind. Wales could have a viable defence force, in line with other forces either of neutral states or NATO members for a smaller percentage of our GNP than our contribution to the UK force. Furthermore, without the UK’s illusions of grandeur and supposedly ‘special relationship’ a Welsh force would not be involved in so many military conflicts that are both expensive in terms of cost and lives. A Welsh defence ministry could opt-out of the expensive contribution towards the re-commissioning of nuclear Trident sub machines or may wish to pool its military contribution and capability – on its own terms. An independent Welsh force would not be starting from scratch either. Not only would it build on centuries of Welsh military knowledge and pride but under the Vienna Convention on Successor States 1983, Wales, as a successor state to the UK following independence, would be entitled to its corresponding percentage of moveable assets (tanks, aeroplanes, ammunition) and immovable assets (military bases etc). That means, as Welsh taxpayers have contributed to the UK’s military expenditure then some 4% of those military assets would come under Welsh control. For instance, the Royal Navy in 2007 consists of 88 vessels (including 1 air craft carrier in reserve). The independence settlement may mean that Wales would get 3 or 4 vessels … or even, horse-bargain and go for the Royal Navy’s aircraft carrier to answer David William’s question. The same principle would apply to the air service and army. Another more elusive, but not less important point is that of Welsh prestige. For the first time since the days of Glyndŵr and the Age of the Princes in the 12th and 13th century, an ambitious soldier could climb to the top of the armed service within Wales becoming Chief of Defence Staff without leaving his homeland or having a conflict of loyalty. This would be a badge of a ‘proper country’ – a country that can offer its citizens the broadest possible careers within her borders, culture and principles. Welsh identity would not be confined to one ‘accepted’ notion of Welshness but would encompass all aspects of Welsh expression and ambition. For the first time in centuries, Welsh men and women of all ethnic and racial backgrounds would fight Welsh wars on Welsh terms as Welshmen under a Welsh Chief of Defence Staff. There’s the incalculable moral and psychological effect of seeing Wales and Welshness not as badges of a weak, defeated nation, but as a nation with arms, a nation, which, if need be, could defend itself – a nation which would deserve to have the Red Dragon as its symbol. Were the Welsh language to be employed as a practical part to the force (as a some-time medium of instruction lets say), the effect would be as astounding. For a language unaccustomed to such a setting it would be as liberating for the language as for the Shettle Jews seeing a Jew on horseback. The language of sedate eisteddfodau, worthies and good little children would have a muscular strength that it has largely lost with the demise of the heavy industry Welsh-speaking working class. The whole effect of an independent Welsh force would put Welsh political and cultural identity in a field it has never been. No more a nation chasing hand-outs but a nation of diplomacy; no more the ‘ci rhech’ (lap-dog) yearning for recognition but a moral nation ready to make moral commitments. Taffy fought for every land except his bloody own"
The article has been broken into 5 segments. This is the 4th instalment. The first may be viewed here, the 2nd may be viewed here, and the 3rd may be viewed here. PART 4 – NATO MEMBERSHIP? And on to our last question. Would an independent Wales be a member of NATO? Again, this assumes there will still be a NATO when Wales achieves independence. Let’s assume there is, then there are three options open to any state, they are the three N's – Neutrality, Non-alignment and NATO. Neutrality seems to have been the favourite option of Plaid rank and file. That’s not surprising as the party was formed in 1925 partly as a reaction to the pointless horror of the Great War and a strong desire that Wales would let ‘English men fight English wars’. But there are problems with neutrality. It can sound high-minded and moral but that depends on if you believe that a conflict with a bully can be overcome with a candle-lit vigil followed by a poetry recital and question and answer session on Waldo Williams’s iconic Mewn Dau Cae. It’s all very well being moral and neutral if your conscience, like the Swedes and Irish, can allow you to believe the sons of other nations should defend you from Nazis. But there’s not much point being neutral when you’re in a minority of one. Now, I could be fighting the ‘last war’ and that a land war in Europe is unlikely and the need for traditional infantry divisions is un-needed, but that doesn’t diminish the need for a military capability. Unfortunately, Plaid’s pseudo-neutrality is more often than not seen as a cheap and Pavlovian piece of positioning against the prevailing London government. Hiding behind, or transferring foreign policy to the United Nations by default is not always the most sensible, realistic nor appropriate decision either. What would be the point of independence if an independent Wales won’t follow its own foreign and military policy? We’ll hardly be better off, and could be worse off, than having our military policy dictated by London. Non-alignment is also popular in Plaid, again for obvious reasons. But non-alignment proved to be a Star Wars bar of oddballs; a carnival of dictators and dreamers as ineffective as it was diverse. The European Union may develop into a military alliance, but that seems unlikely as it would undermine NATO. The EU was worse than ineffective during the Bosnian war and who would trust an alliance with France and its ego as a leading player? The last option is NATO. This would be my preferred option. Not because it’s perfect but because it has strength – which is the whole point of an alliance. Who knows how Putin’s Russia will develop – when I visited there in 2005, I didn't find a single Russian that did not believe that there would be a dictatorship in five years time. It’s all very well attacking the USA, but I’d prefer Uncle Sam, even under George Bush, than Russia under Putin or China with a population of a billion, under any leader. So, in my view, an independent Wales should stay in NATO. But then, again, this is a decision which need not be taken now, it could be left to a referendum in the same way as any question about the role of the House of Windsor as head of state. These three questions raise many points and also many answers. The next time Gwilym Owen or David Williams ask questions on the role of the military in an independent Wales, Plaid candidates need to have some answers and a coherent philosophical guideline. Having no military policy or worse, saying Wales would have no military would be like saying there will be no schools or hospitals in an independent Wales. There is an excellent article written by Vaughan Roderick on BBC Cymru regarding independence and the break up of the British state. It says that a lot of credit for eventual Scottish independence must be given not to Alex Salmond or Winnie Ewing, but to Margaret Thatcher. Because it was her privatisation drive that dismantled a lot of the institutions of the British State, including the nationalised industries, energy and water companies, TV and radio etc. These organisations made up a lot of the glue that stuck the UK together, but without them, the union will be much easier to disolve. I would like to add a few credits of my own, in particular to John Redwood and Peter Hain who have tirelessly and selflessly strived to promote the cause of Welsh Independence. The article has been broken into 5 segments. This is the 3rd instalment. The first may be viewed here - and the 2nd may be viewed here. PART 3 – HOW MUCH WOULD IT COST? How much will the military of an independent Wales cost? Well, how long is a piece of string? How much would the military of the UK cost in 10 or 15 years time? It depends which party is in power and what the circumstances are. But, let's take as a guide, the military spend of other states of similar size and economic and political situation. The Republic of Ireland with a population a little over a million more than Wales spends about £700m on its defence, that’s 0.7 of its GDP. Its active force of 10,500 is divided into the Army (8,000), Air Corp and Naval Service. With a population of 2 million (a million less than Wales) Slovenia’s military budget is some £270m or 1.7% of its GDP. Slovenia is a NATO member and has about 7,500 officers and some 35,000 personnel – a high number partly because of its previous fragile geo-political situation and conscription which only came to end in 2004. Its military is mostly infantry but there is also a small air force and naval unit. Slovene forces have served in Bosnia, Kosovo, Iraq, Cyprus and the Golan. So how much would an independent Welsh military cost? Again, this depends on what a democratically elected Welsh government at the time believed were its priorities. But let’s say that Welsh GDP is 4% of the UK’s? If the UK’s armed forces expenditure in 2006-07 was £34.5bn then the spend of an independent Welsh military (keeping UK levels of 2.2%) of the state’s GDP would be £720m. Now, the UK has big international commitments, partly I believe because were the UK to stop being a military force an important plank of the raise d’ertre of the UK would fall – something the ruling elite and emotionally ordinary people would not wish to see as the military is such an integral part of British identity. In fact, without a strong military, people will ask what’s the point of Britain – wouldn’t it just be Belgium on stilts? Without it’s military, what could Britain do that its constituent nations couldn’t? What were Wales to take a middle ground between Ireland’s 0.7% of GDP and Slovenia’s 1.7%? Wales’s GDP was £35bn in 2005 (almost exactly the same amount as the UK’s Defence Budget). In keeping with its size and military legacy, then let’s say 1.5% of Welsh GDP at 2005 levels would give the military a budget of £525m which is a budget less than Ireland but more than Slovenia. One imagines the Welsh armed forces would be about 8,000 strong, predominantly infantry but with an air and naval service more in keeping with Ireland’s than Slovenia as Slovenia has only 16 miles of coast line. Would there be an aircraft carrier? Well, let’s come to that in a minute, but the naval service would be smaller than Ireland’s for obvious reasons but would need to be able to protect our ports, Holyhead, Fishguard and the increasingly important, Milford Haven. The article has been broken into 5 segments. This is the 2nd instalment. The first may be viewed here. What would an independent Wales do to the existing military bases and regiments in Wales? Would it have an armed force and how much would it cost? Would Wales still be a member of NATO? The answer to the first question is, that yes, a Welsh state would presumable keep the structure and infrastructure but it would come under Welsh control. This would be a bigger change in attitude than any thing else. That’s not to belittle a totally new change of command, philosophy and war aims. But it’s not rocket science either. Armies go through revision and reorganisation continuously, the British Army itself recently published Delivering Security in a Changing World in 2004 which itself was built on 1998’s Strategic Defence Review. Bringing the military in Wales under a Welsh line of command and Chief of Staff would be another revision and reorganisation in the history of the military of Wales. And heavens, if it couldn’t cope with that then what hope and confidence would the Welsh public have in the military defending Welsh interests and sovereignty? b) develop St Athan as the centre for Welsh military HQ, combining ground, air and naval command (St Athan is about five miles from Barry docks and 15 miles from Cardiff). c) The third option, or an added option, would be to lease the facility out to another country as Iceland does at Keflavik to NATO or as the Russian navy still does with some ports in Ukraine. Wales could even decide to go under joint command with London – as the Belgians and French proposed (but failed to implement) in the 1930s. And so on to the second question – would Wales have an armed force and how much would it cost? Wales could of course choose to be unique and make a virtue of being a state with no monopoly of terror over its land. By doing so it would be the only state (excluding the microstates) that didn’t have a force other than the police force which would defend and promote the democratic will of its elected politicians. This could lead to four scenarios – the state is open to internal (armed) forces which could destabilise the whole state making it a failed state like Somalia. Part of the state’s territory could be beyond its control - the UK’s lack of control over South Armagh during the Troubles, parts of Columbia, Georgia, Azerbaijan, Sri Lanka today. A state could keep its territory intact but that a sector of the state’s workings is beyond the state’s control - corruption and mafia in many East European states or even Italy. No armed force also means the state could be destabilised or conquered by another state. Now all the above scenarios are unlikely in the current climate (as is independence) but a politician and a political party’s job is to prepare for unlikely situations. Our low birth-rate will create a need for outside labour which may (or may not) cause internal tensions; conflicts could arise over resources like water; what are the implications of the rise in Chinese power? Who knows – as late as 1987 nobody in the intelligence service foresaw the USSR collapsing in 1991 and who would guess that English-born Muslims would bomb London buses? The difficulty with not having a military capability is that it would be very difficult and expensive to build one from scratch and in the time it would take, it could be too late for the state. In many respects the debate for an independent military capability is like that for sustaining an agricultural sector – things may be good today and it more cost-effective today to forefeit parts of the agricultural sector, but what of tomorrow? In an article in the current issue of the Cambria magazine, Sion Jobbins tries to answer David Williams' question put to Plaid Cymru Candidate Bethan Jenkins on BBC Wales' Dragon's Eye program "how many aircraft carriers would an independent Wales have". We are grateful to Cambria and to Sion Jobbins for allowing us to reproduce this slightly extended article. It will be posted in 5 instalments. There has already been some discussion on this topic in an earlier post on this blog. But please feel free to comment here. It was the combination of two interviews, one on television in English, the other on radio in Welsh which started me thinking. David Williams, Dragon’s Eye’s firm but fair presenter, asked Plaid candidate, Bethan Jenkins, the rather idiosyncratic question; ‘how many aircraft carriers would an independent Wales have?’ A few months later another BBC interviewer, Radio Cymru’s Gwilym Owen, questioned Plaid’s President, Dafydd Iwan, about the role of the military in an independent Wales. And whilst Dafydd Iwan was perfectly right to say it wasn't the most pressing of issues at the forthcoming Assembly elections, Gwilym was right to press him about a subject which it seemed Plaid Cymru had not thought out at all. Plaid bury their head about this issue, because of their pacifism and also a fear that their political opponents would ridicule it – the, ‘Plaid would spend £20billion on a Welsh army (ha, ha, ha) not on hospitals’ line. Plaid’s pacifism is partly then the need to pacify opponents and historically distance itself from the nationalism of Sinn Fein/IRA. It’s also nationalism by proxy. Take the Falklands Conflict as one example. Plaid could have been straight and said the UK had a right to retake the Falkland by armed force as a part of her territory – after all, it had been invaded by a military junta who were chucking left-wing activists, out of aeroplanes. The UK had the right to attack but that as Welsh nationalists Plaid could say they believed that this was a war which Welsh men had no reason to be part of. Instead, Plaid took the ‘they should talk and talk … and then go for a cup of tea’, line. Plaid use the tired stock line that ‘war doesn't achieve anything’, when in fact war does achieve things – which is why people do it. Plaid, could of course, were it more confident of itself, accuse its opponents of hypocrisy, celebrating Welsh bravery when Welsh men fight under the Union Jack but ridiculing Welsh bravery were they to fight under the Red Dragon. Or it could say that having an independent Welsh military would give the Welsh electorate the choice of which wars Wales wishes to fight and which it doesn't – Suez, Falklands, Iraq to name just a few. Of course, Plaid could just continue to take its present ersatz pacifist stand. The stand which made Bethan Jenkins’s answer go AWOL when interviewed on Dragon’s Eye. She couldn't answer the question not because she isn't intelligent but more pertinently because she lacked the experience in discussing the matter. It’s not Bethan's problem entirely either because Plaid and its left-wingers have spent the last five years discussing the military in Iraq but not 5 minutes discussing what the military capabilities of an independent Wales would be. Plaid can’t pontificate about international issues without coming clean to the public about what Wales’s role in world affairs would be and how Wales would defend its borders. There are three simple questions and three comparatively simple answers. 1. What would an independent Wales do to the existing military bases and regiments in Wales? 2. Would it have an armed force and how much would it cost? 3. Would Wales still be a member of NATO? I will try and answers these three questions in the next instalment. But I prefer these two unofficial broadcasts – particularly the soundtracks. The Plaid Cymru official Party Conference Broadcast for 2007 is available here... ac yma. A lot of the points made are directly applicable to Wales. There have been a couple of interesting posts on this site about the role of the armed forces in an independent Wales. The fact that Welsh people have contributed, selflessly and bravely, to armed conflict when it has arisen (for better or worse) is without doubt. Any suggestion that Wales is incapable of raising an effective armed force flies in the face of history. In every war in the past 400 years the number of Welsh combatants and casualties has been more than our "fair share" per capita of population. When the British nationalists rubbish the idea of a Welsh Army by saying it won't be good enough they rubbish every single name that appears on a cenotaph in every Welsh village, town and city. They rubbish the contribution made by the Welsh Army in every conflict before, during and since the two world wars. The main "army" question against independence is that an independent Welsh army would be incapable of defending Wales, independently, from invasion. This is probably true. But who is likely to invade Wales? Invasions usually come from neighbouring countries. Are England or Ireland going to invade an independent Wales? Since the formation of the United Kingdom the UK has never, ever, fought threats to these islands independently, it has always been dependant on alliances for home defence. Presumably if an independent Wales faced the threat of invasion we could depend on friends and allies too. The only times that UK armed forces have acted unilaterally is in defence of far-flung empirical territories. Wales doesn't have an empire, doesn't want one and will never have the need to have that unilateral ability. The current Welsh Armed Forces, under British control, have shown how much they are capable of contributing to international efforts, as part of an European force, an UN force and (dare I say it on this site?) even a NATO force. That contribution wouldn't be less if the Welsh Army were answerable to an Independent Welsh Government, it would probably be more. Even if it was about the same or a little bit less the Welsh contribution would have a lot more appreciation and respect than it has at present. The following article was published in the Western Mail yesterday. The article is rather 'confused' and Plaid Cymru MEP Jill Evans says "In Wales, of course, we are not debating independence at the moment." Well we certainly are on this blog, and it's nice to see the Western Mail giving the issue some attention. EXACTLY four years on from British forces joining their US allies in Iraq, Scotland has put the prospect of forming its own defence policy at the top of the political agenda. 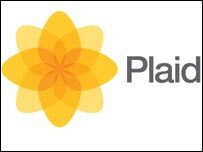 As Wales, like the rest of UK, counts the human and financial cost of the conflict, the Scottish National Party is wooing voters with the promise an independent Scotland would mean their troops being "never again dragged into an illegal war". While Wales is still a long way from the prospect of its own parliament, the SNP is streets ahead in tapping into the anger felt by many over the Iraq campaign. Detailed plans include Scotland deciding its own (non-nuclear) defence policy in its National Parliament while being defended by a well-paid, equipped and trained army, and retaining its "historic regiments". So what might the future hold for a Wales still settling into what some see as the modest powers of the Assembly Government? Might the country one day form its own defence policy and hold its own on the international scene? As debate rages over the proposal to install a costly new Trident nuclear weapons system on the Clyde - plans opposed by Plaid Cymru MEP Jill Evans who is chairwoman of Wales CND - the SNP has also vowed no nuclear weapons would be based on independent Scottish soil. Should Wales aim for such an unequivocal say on defence issues? Certainly potent images of death and destruction have, says Ms Evans, prompted many Welsh people to question the involvement of their nation in the conflict. "There was tremendous opposition in Wales to the invasion of Iraq and that still holds. People are still very angry about the British government backing up the US and that the death and destruction is still going on. "When people said 'not in my name', I believe that many people here felt that on behalf of Wales. "Looking towards the future, independence is a very long way off and there are various theories about how Wales' defence would be best served. We would have to look at whether the threats we would face would be those we face now. "Ultimately it will be up to the people of Wales to decide. It's difficult to talk about future policy when we are only a few steps into having any power. "But the mainstay would be a defence policy which is what it says - to provide security to the people of Wales, and not a policy that threatens others, as we have seen with the whole experience of Iraq. That is, hundreds of thousands of Iraqis being killed on the basis of the war being a lie." While many people - perhaps set against increased powers or independence for Wales - may scoff at the notion of a future where Wales forms its own foreign policy, it's a development our Celtic cousin clearly sees as more than a possibility. SNP plans include the establishment of a peace-keeping Scottish Centre for Reconciliation and Conflict Resolution. The country would "initially" equip its Armed Forces - the Scottish Defence Force to consist of professionals supported by "part-time volunteers" - with "Scotland's share of UK defence resources". The country would also maintain active defence commitments with its friends and allies through the United Nations, European Union and Partnership for Peace. "The independence debate is very current in Scotland," says Ms Evans. "In Wales, of course, we are not debating independence at the moment - it's something that Plaid Cymru aspires to as a long-term aim. "But it isn't the debate taking place in Wales now, around the election, or indeed the defence system, but it is something about which people feel strongly. So many people said no and the government wouldn't listen. "There are several other models that Plaid looked at and its defence policy would be that we would co-operate with other countries, primarily through the United Nations. We are against membership of Nato because of the nuclear alliance." Political commentators may advise against putting the milk money on Scotland becoming independent, taking the view such a state of affairs is a long way off - if at all. But as the Assembly gets more powers, as the process of devolution continues apace, many opposed to the war may feel increasingly enthusiastic about a nation of three million voices that could say "no" to a future unwanted military campaign. The decision to join US President George Bush's assault on Saddam Hussein split Labour, leading to four ministerial resignations and the largest back bench rebellion of Tony Blair's time in office, as 139 of the party's MPs opposed the Government in the key vote four years ago. Anger over Iraq was one of the main reasons for the reduction of Labour's majority from 163 to 66 in the 2005 General Election and it caused rifts in the international community, putting Mr Blair and Mr Bush against Nato allies like France and Germany. Wales' First Minister Rhodri Morgan has remained resolutely ambivalent about his take on the nation's role in the conflict and some seem to take the view that the war will cease to be an issue once Tony Blair is out of power. But playing prophet, what if Wales - albeit far down the line - became a truly independent state like Ireland? Would it have its own army? How would it be funded? Should those who believe it is not economically viable for Wales to go it alone look to the likes of Ireland, separate from the UK since the 1920s, and able to take its own position on international defence issues? Will the issue move beyond a topic of debate for the chattering classes of Cardiff's media and political enclaves? Will an increasing majority in Wales be moved to support independence in the belief it has been dragged, against its will, into a war waged by an English-centric government that never shed its Empire-happy provenance? In an earlier post on this site Johnny Roberts makes the important point that Independence needs to be put on the political agenda. He is, of course, totally correct. One of the things that have amazed me in recent years is how the percentage of people who support independence has risen without the issue being on the agenda. Before the 1997 devolution referendum a BBC poll found that 11% of the people of Wales supported independence. The Richard Report found that in 2003 14% supported independence and another BBC poll commissioned in January of this year found that the figure had risen to 20%. One cannot but wonder what the figures might be like if independence had been a central issue on the Welsh political agenda during the past 10 years. Johnny, in his article, suggests that Plaid should put independence firmly on the agenda - I agree with him entirely, but somehow I doubt that this will happen in the short term. Saying so isn't intended as a criticism of Plaid it is just a reflection of current political reality. With so much to say about "bread and butter issues" during the forthcoming assembly elections such as health, education and public order it would be political suicide for any party to try to veer away from that agenda and create a "new" agenda. In our days political parties are rarely responsible for forcing any issue onto the political agenda. Focus groups decide the agenda and pressure groups influence the focus groups. The fact that all four parties are trying to out green each other in the present election campaign has nothing to do with capitalist, socialist, liberal or nationalist philosophies, it is due entirely to the fact that green campaigners have focused the minds of the electorate onto green issues. The only way for independence to be put on the political agenda in Wales is for those of us who support independence to form a non-party campaign group to raise awareness of the benefits of independence. It won't be an easy task. Many similar attempts have been hijacked by what I can only describe as the "nutty" side of nationalism. Staunch Plaid members may see forming such a group as an attack on Plaid. Supporters of independence in other parties (and there are many) may see it as an attempt to promote Plaid. Many nationalists expend all their campaigning energies in other groups CyIG, CND, Greenpeace etc. Such people may see a Campaign for Independence as one campaign too far. However I sincerely believe that a Campaign for Independence is the only realistic way of putting independence on the agenda, and I would appreciate views from readers of this blog about how we can make such a campaign a reality. So, Montengro is beginning discussions about joining the EU as a full nation state. What do the Labour, Tory and LibDem voters think makes Wales so exceptionally useless that it can't run its own affairs? The only answer I can think for Labour and the Tories is that they want to keep the Nuclear phallic symbol and pretend they're part of a big country. That sums it up really. Much better we don't run our own affairs, after all, our population is only 5 times greater and our GNP only 10 times greater than that of Montenegro! A lot of people complained about the Stereophonics song, saying that it was whipping up ‘racial’ hatred. I agree that Welsh nationalism and the campaign for independence should be built up by stressing the positive aspects of Wales and should not be dragged down into negative anti-English attacks. But in which case, can someone please tell me why I feel so damn good this morning???? In an article in the latest issue of Cambria magazine Siôn Jobbins tries to answer the question put to the Plaid Cymru candidate, Bethan Jenkins, by (BBC Wales) Dragon's Eye presenter, David Williams. Jobbins outlines the possible expenditure and set-up of a Welsh military.... and answers David Williams's question. Well worth a read. in most good bookshops, as they say. In an Independent Wales, we would receive a substantial 'peace dividend' as we would no longer need to support the UK's imperial ambitions and military adventures. However because of our poor economic performance our funds would still be limited and we would not be able to afford heavy public spending commitments, particularly large scale state investment or supporting bloated government or municipal bureaucracies. We would have to live within our means. But one major advantage that we would have following independence is the ability to create a different economic climate than the UK (or England). We could follow Ireland’s example and cut Corporation tax to encourage inward investment. It has also been suggested that instead of providing development grants (which usually seem to be wasted away) that we could give tax breaks for new investments instead. Inward investors could be given a tax exemption for say 2 years for creating service jobs, or say 5 years for manufacturing jobs. Personally I would give the highest tax exemption to developing sustainable value-added initiatives, for example developing furniture workshops based on the Welsh forestry, or dairy products using local milk. What we lose in Corporation tax should be more than compensated for in increased personal tax revenue. Independence would also give us the opportunity to deregulate sectors to attract tourist money – why shouldn’t Rhyl have a supercasino - why shouldn’t Cardiff develop an ‘exotic’ nightlife zone. Maybe controversial, but we need to learn to think outside of the box. To survive and flourish we have to encourage outside investment and create a climate where local businesses could flourish, while at the same time ensuring that individuals rights are adequately protected. We should not be afraid of independence – we should seize the opportunity with both hands. Many Plaid representatives have contributed to this blog, expressing their support for independence. It is time now for them to act on their words. Independence needs to be put on the political agenda. We must have an informative public debate. Welsh people have never been told excactly how Britain has failed them, and they have never been told what independence means, and how it would benefit them. This can only be done if independence is thrown onto the political agenda. Let those in favour put forward the case and let those against argue against. Oponents will have no option but to defend Britain's record, leaving their sham arguments exposed. They will then have to fall back on the British nationalist card - play up the Union Jack and Britishness - and people can see that these things have no real relevance to their daily lives or their identity. Come on Plaid, Welsh identity is strong in the Labour-held valleys. It just doesn't translate into political terms, and that is because independence isn't on the agenda and they have no choice but to follow the devil they know. Argue the economics and play the patriotic card. There is nothing to lose and all to gain. Let Labour defend Britishness (expose it as the Englishness that it is) and let Labour defend corporate capitalism and Western Imperialism. Expose these London-serving (and self-serving) hypocrites for what they are. They are there for the taking, as long as Plaid are ready to trade punches rather than duck and weave. Charles - What is he good for? So Prince Charles thinks that he is the legal owner of the Three Feathers symbol and has the right to send bullying letters to small businessmen. This symbol is not his personal property but represents the stolen title of the Prince of Wales, and despite its German roots, has become as widely used as a symbol of Wales as the Dragon, the Leek and the Daffodil. However, Charles’s attitude shows his complete disregard for Wales. Is it not time that the people of Wales stood up to this arrogant inbred and told him that we do not want or need him, and that he has no right to claim to be our Prince. We should demand that he be divested of the title, which should be returned to the people of Wales. Perhaps in an Independent Wales this title could be granted on a temporary and honorary basis to a democratically elected Welsh President???? What is he good for ? Rhodri in favour of independence? In population terms Wales is bigger than five Member States and not very much smaller than another three. Why should this matter? Because Malta, with a population hardly bigger than Cardiff, has a direct seat at the table and access to the entire EU decision making machinery. It also has a much higher number of MEPs in proportion to its population. Isn't that an argument for Welsh Independence Rhodri?